The Museum Video Program offers smaller art museums an opportunity to have video installations as part of their exhibitions. 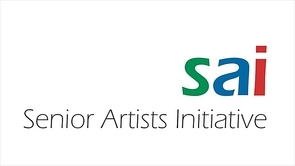 Senior Artists Initiative works with museum personnel to help them plan and develop content for videos of artists whose works will be exhibited in the future. SAI produces the video by both video recording and editing to a final product. The high definition videos can be displayed during exhibits and viewed on the Worldwide Web. SAI makes the video available through this website and through its video hosting service. That means museums which do not have video hosting capability can simply place links at their websites to allow visitors to access the video. The Delaware Art Museum (Wilmington, DE) Museum is currently participating in the program. Four videos will accompany exhibits in 2019 and 2010. The video of Edward Loper, Jr. has been completed and is presently showing at The Loper Tradition Exhibit. Information about the exhibit can be found in the Exhibits & Events listen at this website. The video will be accessible through this website in early May. are: Mitch Lyons, Margo Allman, and Helen Mason. Museums wanting information should contact us through the this Contact Link.